Arthritis or knee injuries can really be life spoilers. 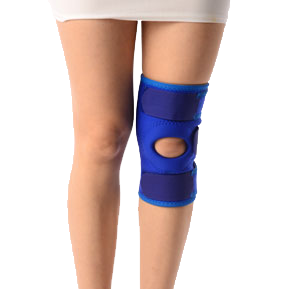 Here we have for you a uniquely designed tubular donut knee brace that is suitable for rehabilitation and also prevents weakness of the femoral muscles by prophylactically stabilizing the knee joint. The neoprene rubber provides and retains body heat which help accentuate recovery. The hook and loop fasteners allow ease of application and the soft material ensures reduced stress on the patella.